This Pedicart is helps you carry all the needed accessory and supplies you need! 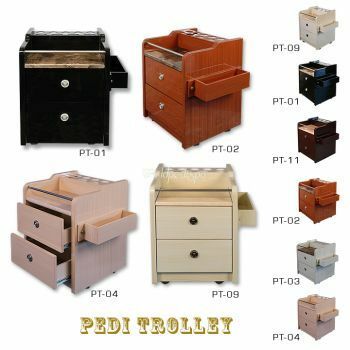 Roll this pedicart anywhere you need it with no difficulities! 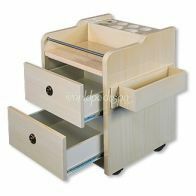 The pedicure trolley with accent marble top was designed to complement all of our manicure tables and is available in an array of colors. 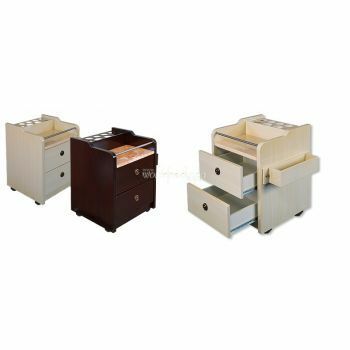 • Sits on wheels so that it can be conveniently moved from one location to another. 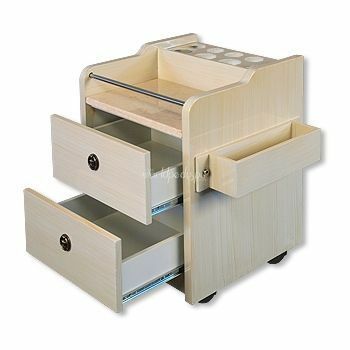 • The two drawers and side shelf provide an ample amount of storage for all of your pedicure needs. • Convenient 8 oz. and 16 oz Bottle holder allows easy access to pedicure solutions. • The bottle holders work perfectly with our pre-bottled 16 oz and 8 oz Acetone, Alcohol, Polish Remover, Cuticle Softener and Cuticle Oil.